Say it with us, “Gotta get back, back to the past, Samurai Jack”. Jack is from the feudal Japan era but an Aku, the shape-shifting Master of Darkness opened a portal which Jack fell into and now Jack is stranded in the future. 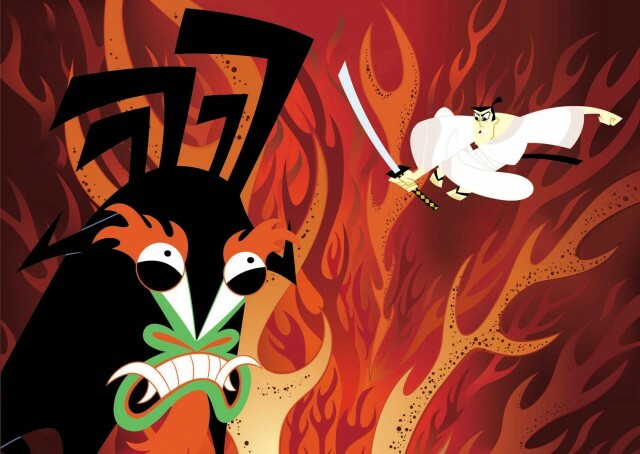 It’s up to Jack to find out how he can get back in time to save his people and defeat Aku. The show had a very distinctive art style that you didn’t see much of when it started out in 2001. It was very mature and dark with a more cinematic feel than your usual cartoon. The ideas are blooming with XBLA games here with the most obvious one being either a brawler, 2D or 3D. You could even intercut the more cinematic style in the gameplay with quick cuts and separate comic-book style windows to showcase more action. Sound familiar? Yeah, we think Klei Entertainment could do wonderful things with this license. While sugar, spice and everything nice would create the perfect little girls, Chemical X sure does help too. 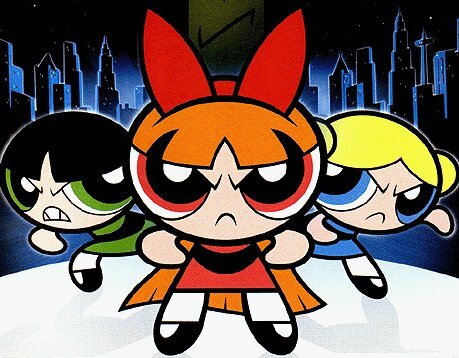 The Powerpuff Girls were possibly one of the best creations at Cartoon Network, with Blossom, Bubbles and Buttercup as the heros of Townsville, stopping crime when the Mayor greatly needed it. The dastardly MoJo JoJo, the evil monkey up to his old tricks in order to destroy the town. The Powerpuff Girls have a wide range of abilities from flight to beating the crap out of stuff. You could just easily make a brawler but what about adding some shoot-em ‘up elements to the flight gameplay? Some objectives could range from beating up people and then getting to pre-school on time. Since there’s 3 girls, you could even throw in some co-op, preferably drop-in/drop-out online and offline for people who already have 3 friends at home and want to defeat evil monkeys. Now you could do just about anything with Dexter and his genius laboratory. Every episode more or less focused on Dexter making things in his secret lab underneath his room while his sister Dee-Dee would always annoy him and ruin his experiments. So clearly, any type of gameplay could work where Dexter could build a machine that allows him to destroy a city, the hair-growth formula episode where he could team up with Bigfoot for some fun. Even a mission where you have to avoid Dee-Dee at all costs and it becomes an endless runner or Runner-style in your laboratory, trying to avoid her so your experiment doesn’t break. Since Dexter creates so many unique and weird experiments, the options could be everlasting. 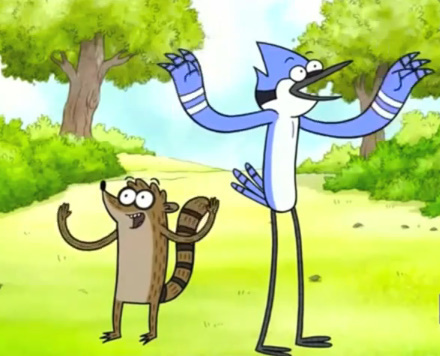 Two slacker animals, Rigby and Mordecai, work on a resort where their boss is an angry gumball machine. How could this work as a game? Simple, references. Scott Pilgrim had plenty and if you’ve ever seen Regular Show, you’ll know how much they love videogames. From the second episode where they use an arcade machine to defeat “Destroyer of Worlds” to an episode where they argue who’ll be second player, Mordecai and Rigby’s lives are pretty similar to ours. A co-op brawler maybe? We were thinking more platformer with some elements of fighting action but not too much. They’re happy-go-lucky animals and slack off all the time. Some of their crazier episodes could make really fun level design with the synthesizer that creates things to posing as astronauts to a Guitar Hero-like level where they play as Mordecai and the Rigbys (lip-synching of course would be the joke). For a 15 minute show, the possibilites for gaming references are surprisingly vast. Come on grab your friends, we’re going to very distant lands. 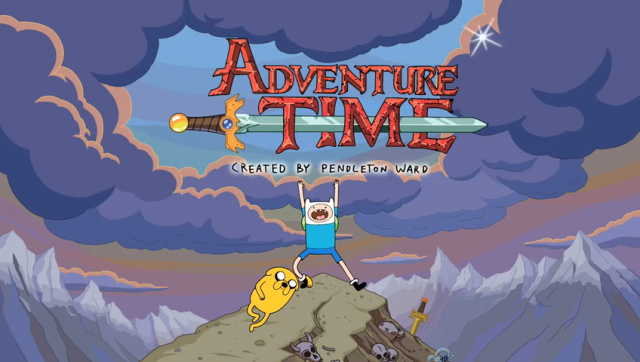 Adventure Time has been the crown for Cartoon Network lately. A very divisive show that appeals to kids and teenage audiences alike. It can make virtually anyone laugh with its humor as we follow Finn & Jake’s adventures through the Land of Ooo. 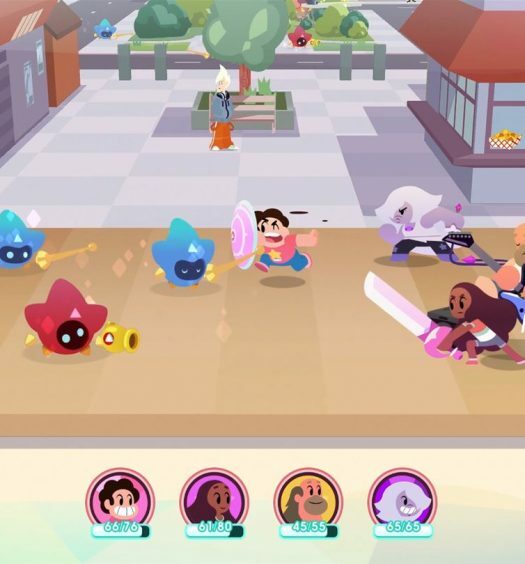 They rescue a princess from the evil Ice King, befriend vampires like their friend Marceline and hilarious characters like Treetrunks and Lumpy Space Princess. Now it is already getting a game this year on the DS/3DS by Bloodrayne: Betrayal/Double Dragon Neon developers WayForward but what would an XBLA game be like? A sprawling adventure game, maybe playing similar to Bastion but with more comedy. Finn could use a variety of weapons other than just his sword but Jake the Dog would come in handy for almost anything. Can’t cross a bridge? Jake will stretch out for you. Want to bear hug the Ice King? Jake has the capability of stretching the life out of him…or at least making him pass out to rescue princesses. Maybe some of the original voice actors could come in for the game since John DiMaggio loves putting his voice into any work from games based on Futurama to his work on Gears of War. Adventure Time is a series that people care about and adore so any game coming out would have fans clamoring for more. Why not a DuckTales mode where Finn bounces on his sword? Maybe not, but we think it’d be neat. What Cartoon Network shows do you think we missed? Let us know in the comments since they have a cornucopia of shows that people need to watch and could use XBLA games.